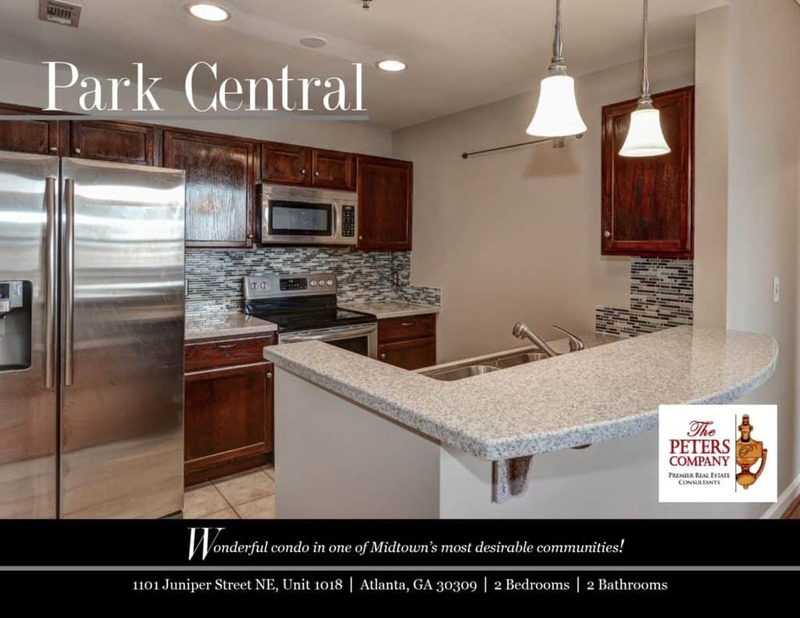 Just Listed :: Wonderful Condo in Midtown's Park Central! Welcome home to this wonderful two-bedroom, two bathroom condominium in Midtown’s private and gated Park Central. Convenient to Midtown’s finest attractions, you will be in the middle of it all including prestigious shopping, award-winning restaurants, exciting nightlife, and only a short walk to Piedmont Park. Easy access to I-85, I-75, and GA400, make virtually all commutes a breeze. Located in a gated community with 24/7 concierge service. Kitchen features stainless steel appliances, sleek backsplash, and breakfast bar. The main living area is accented by gleaming hardwood floors and crown molding, and includes a nice combination of living room and dining area which are perfect for entertaining. Master suite is complete with a walk-in closet and bathroom with garden tub and vessel sink. Secondary bedroom with private bath is well-sized and bright. The covered balcony provides additional living and lounging space. Personal storage unit a bonus for the building. Additional amenities include two well-maintained pools, a roof-top terrace, fitness center, and clubhouse. ← Just Listed :: Amazing Renovation in Brookhaven Fields!